Formed in 1886 and renowned as The Gunners due to their crest, Arsenal has not only been ever-present within the England League but also has established supporters from all over the world. Having won several national leagues and cups, the club holds an ever growing fan-base with their enviable record and strength. 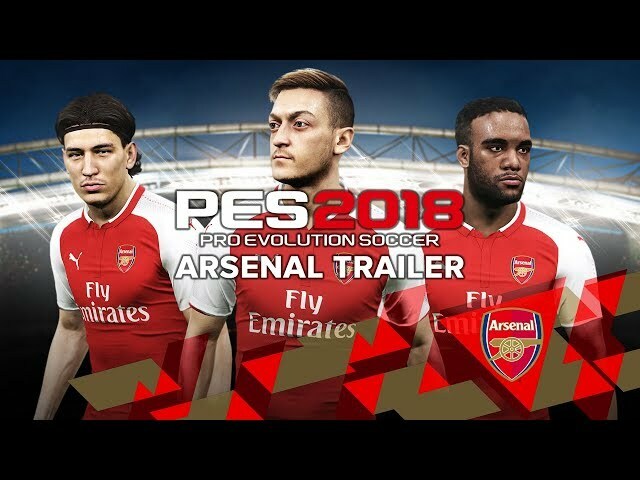 With this agreement, KONAMI will recreate first team squad using its proprietary 3D scanning system to ensure that their facial and physical features, as well as play styles and tactical abilities are fully recognizable within PES 2018. Additionally, KONAMI will also be given extensive access to capture their home stadium, Emirates Stadium for its future inclusion in the game. The club will later be released as a data pack.